What message is your storefront conveying to your potential customers? If you aren’t drawing in the numbers of customers you want and need, you may not be sending the right message—it may be time for a new business sign. The first thing you absolutely need to ensure is that your sign is going to capture the attention of your targeted audience. You want people to notice you. If people walk or drive by your business without a second glance, they won’t be drawn inside and, perhaps more importantly, they won’t remember you later to make a visit or tell their friends about you. Once you’ve gotten their attention, it’s important to convey through the style and content of your sign what kind of business you are. If people cannot easily figure out what it is that you sell or what service you provide, don’t count on them making an effort to find out. You need people to know exactly why it is they should come in. If they can’t match their needs with your services, they won’t even realize what they are missing out on by passing by. You can give customers information through both the content and the style of your sign. If you have a business name that doesn’t clarify what the business provides, you may want to add a sub-line to provide a little more information that customers won’t otherwise know. You don’t want to have a wacky colorful sign if your ideal customers are looking for clean and professional services. Likewise, if you want people to know that you are a creative and fun business, you don’t want to convey drabness with a dull sign. Don’t count on a sign performing the same way throughout the ages either. You may have had real crowd bait at one time, but times and styles change. Don’t let passersby think that you are out of touch, you want them to trust you to provide them with the best, most up-to-date products and services. Likewise, if you are in a business of selling style, your sign has to show good taste as it serves customers as their first sample of what they will find inside. If you want to draw people who value elegance, then you had better give them a taste of elegance through your sign. 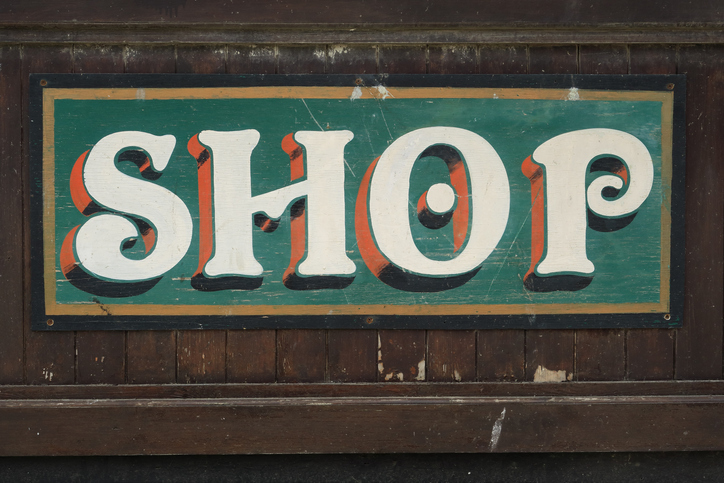 A sign that looks shabby will also likely keep customers at bay. Customers want to know that you respect your business and their time and money. If their first impression of you includes a sign that shows neglect and apathy, you can bet they will be taking their business elsewhere. The solution could be selecting a material that will endure within the environment it will live. This will prevent your sign from falling into disrepair and save you the effort of maintaining it yourself. If, however, your style and sensibility leads you to picking a sign that will need regular maintenance, keeping up is an absolute must. If your sign is run down, the cost of a new sign is nothing compared with the cost of scaring away clientele. You invest a lot of time and sweat into the quality of your business, so don’t make the mistake of letting your signage look like an afterthought. It may be what is inside that counts, but if you are giving your clients the wrong impression with your external appearance, you won’t enjoy the business that you deserve. Think about how a new sign could change everything while boosting traffic and revenue.